NHL News : Referee gives penalty to Gordie Howe 20 years later?! Referee gives penalty to Gordie Howe 20 years later?! The official looked like a complete idiot! Numbers, names, penalties - sometimes there is just too much happening for National Hockey League referees on the ice. We’re going to see that’s what happened to this referee on Thursday night when he called out a penalty during the game between the Detroit Red Wings and the Ottawa Senators. “Detroit, number 9, two minutes for hooking,” the referee called out at centre ice of the Canadian Tire Centre in Ottawa during the first period of the contest. 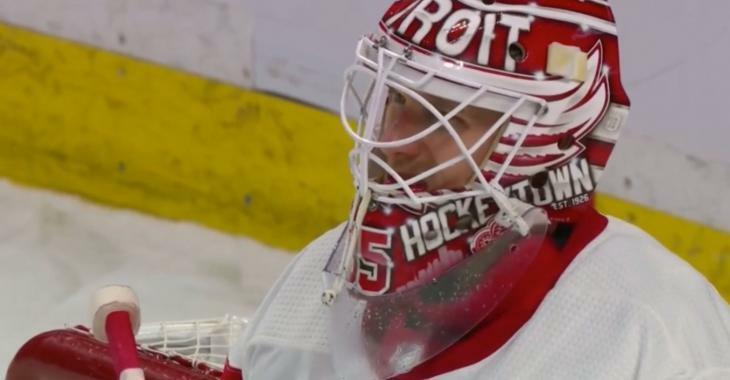 Players looked around and goalie Jimmy Howard had no clue what was going on, and the commentators quickly pointed out the official’s mistake with laughter. The referee then headed to the Red Wings’ bench to explain himself and have a good laugh with head coach Jeff Blashill.